What a year it's been here at Joseph's House! There's so much for us to reflect upon as we prepare to begin the New Year. The gifts have been opened, the parties have been held, and now we continue the daily work of Joseph's House. 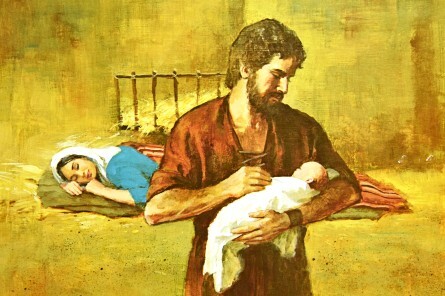 Just as Joseph cared for the Infant Jesus, we are called to care for our homeless brothers and sisters. We will continue to offer hope, help, warmth, and kindness to those who look to us as a refuge. For all the blessings you brought our way in 2015, thank you! I look forward with hope and trust to 2016. The same loving God who provided for us last year will do the same in the coming year. I wish you all health, happiness and the nearness of your loved ones in 2016. The real work of Christmas lies before us. Together, we can feed the hungry, clothe the naked, and welcome the stranger.